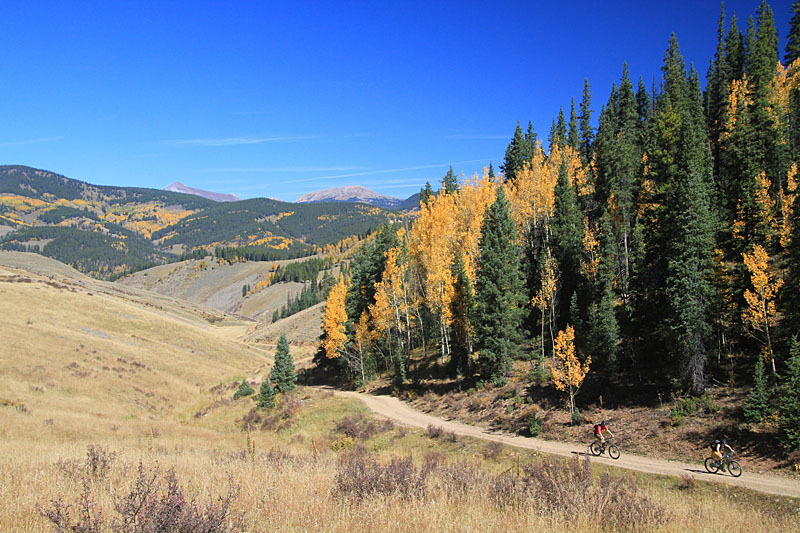 Located southeast of Crested Butte, the Doctor Park trail has a great downhill that is a great combination of flow and technical goodies. Oh yeah, the views are pretty awesome as well. This ride can be done as a 20-mile loop but I sprung for a shuttle to cut out a 9.8 mile dirt road interconnect. (Hey I was vacation and my legs were shot!) Even by cutting out the road you will still have a 4.5 mile climb to gain just under 1,400 feet up to the peak elevation of the route at 10,934 feet. 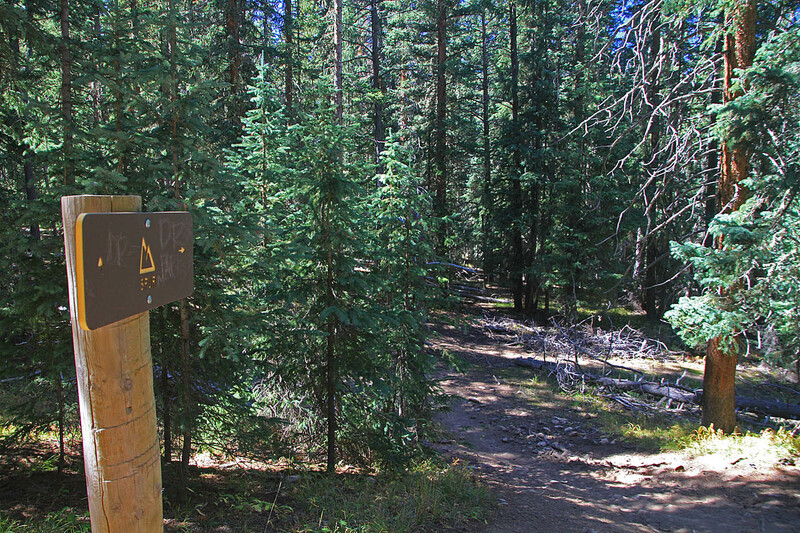 No matter which option you decide to go with, one thing should be for certain, you should have a big stupid grin on your face when you get to the lower trail head. 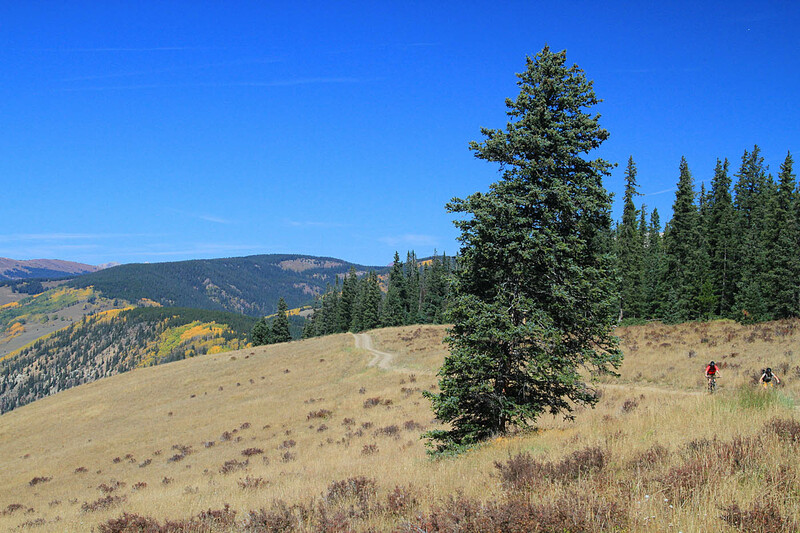 Directions to the lower trail head: From downtown Crested Butted take CO-135 south 11.7 miles to Jack's Cabin Cuttoff and turn left. 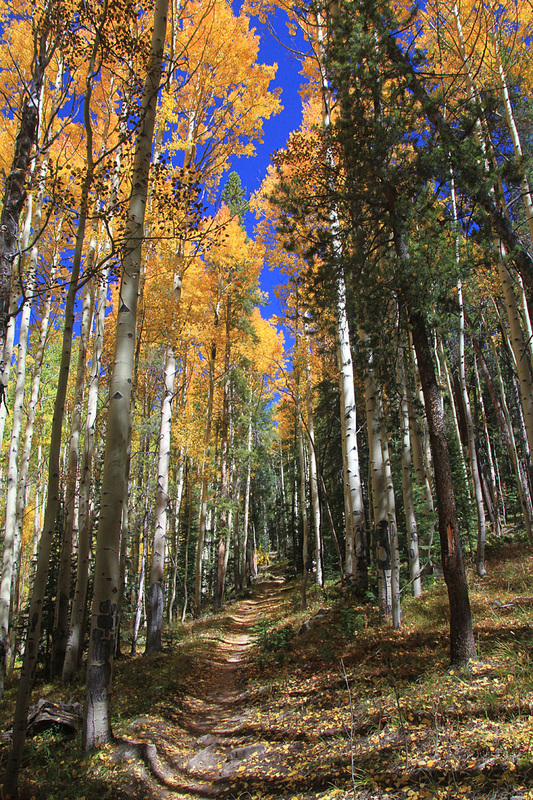 Take Jacks Cabin Cutoff 4.2 miles to County Rd 742. Turn left and take 742 for 2.1 miles and turn left onto a campground road. If you cross a bridge over the Taylor River you have missed your turn. 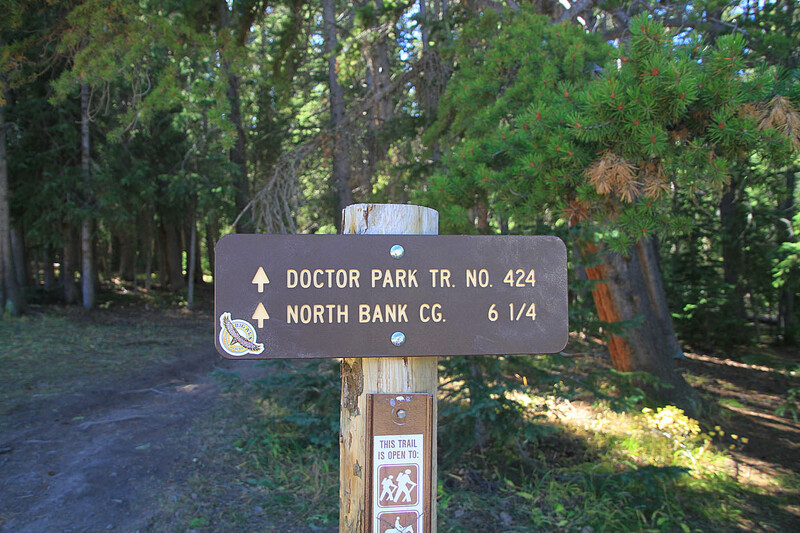 Take the dirt road .2 miles to the end of the campground and the Doctor Park lower trail head. Get directions from your current location. 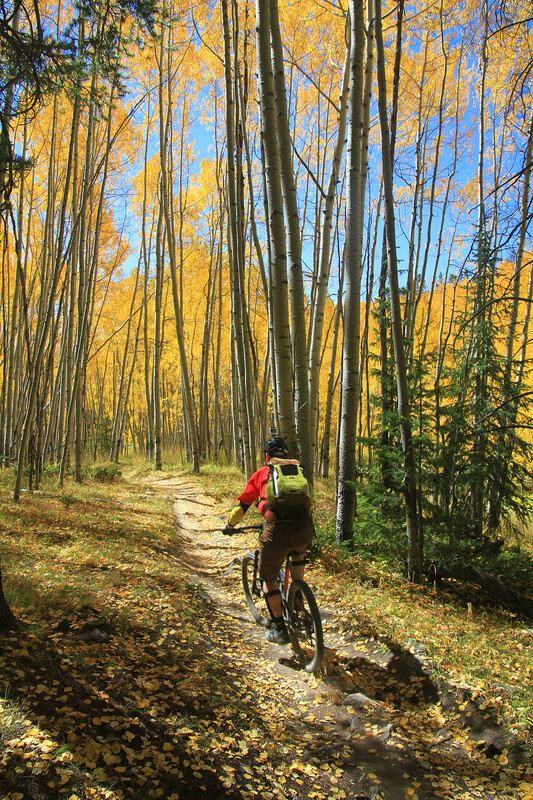 Ride Notes: This was day nine of my 2015 "Chasing Aspens Tour"
During the drive from the lower trail head at the North Bank campground, I realized that the ride along the dirt Spring Creek road would not have been a bad ride at all. 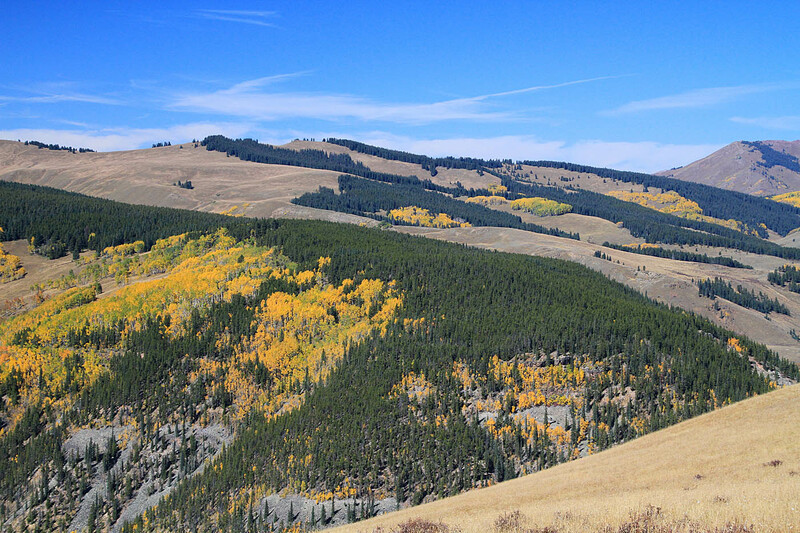 It is a pretty scenic road with the creek just below the road and fairly mild grades. 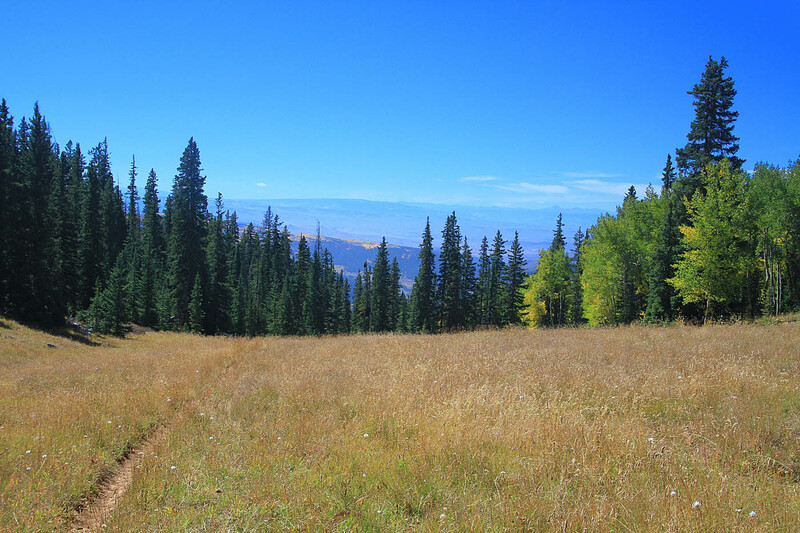 After 9.8 miles we came to the junction with Doctor Gulch Trail (Dirt Road #554). Our shuttle driver took us across Spring Creek which would have been a little over a hub-deep crossing at this point. I'm sure the water would have been freaking cold. Just after the creek crossing is where we started on the bikes. 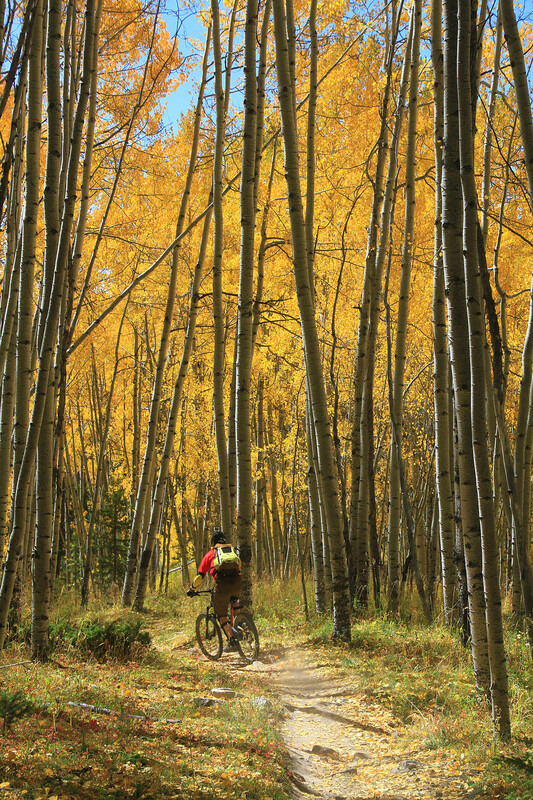 At 0.8 miles from the Silver Creek there is a fork in the dirt road, take the right and continue climbing. 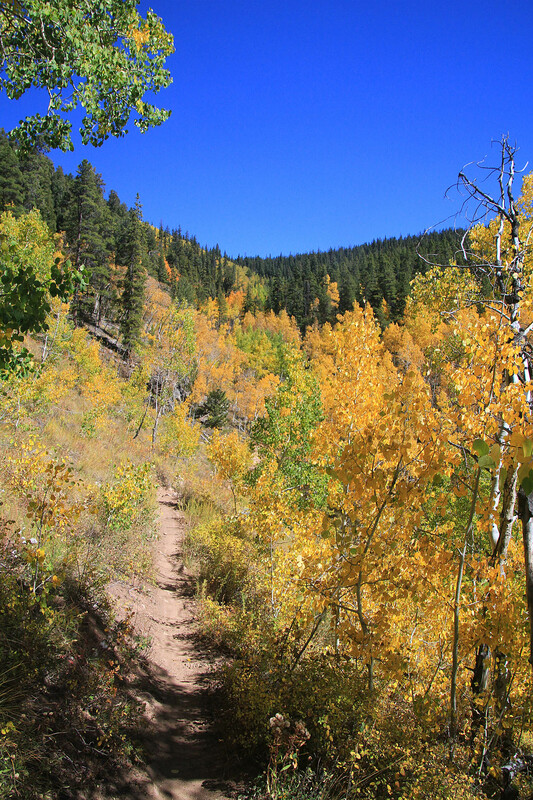 At 3.0 miles the dirt road ends and you will continue into the pine forest on the marked singletrack. you enter into the forest. 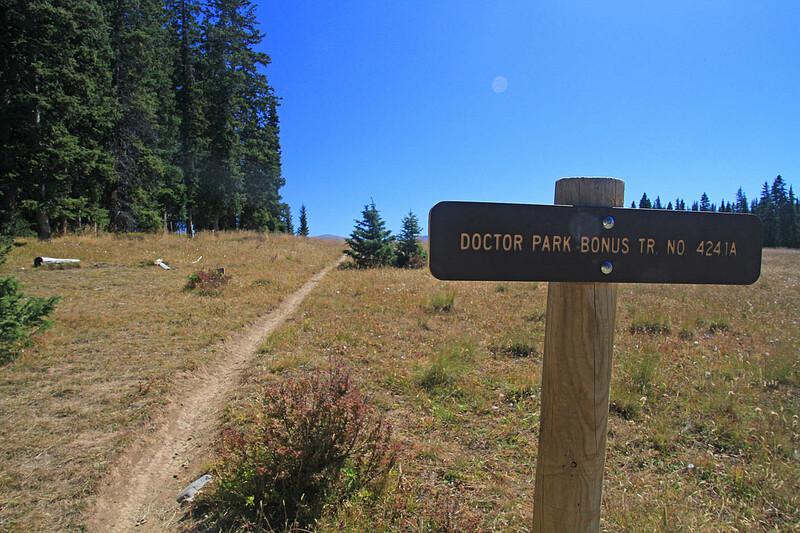 After about a mile the trail comes out into an open meadow area and the junction of the Doctor Park Bonus Trail (4241A) on your left. This was not my direction today and I continued along straight where the goodness started. The first mile is bit steep with some technical bits to boot so you will certainly need to be on your toes. You then have some long sections of just flowing zippy cruising. There are some technical sections thrown in here and there so you can go totally la la la la with your downhill bliss. After 8.1 miles you will have a little bit of climbing for about a 1/3rd of a mile before you are back onto the descending for the next 1.8 miles. 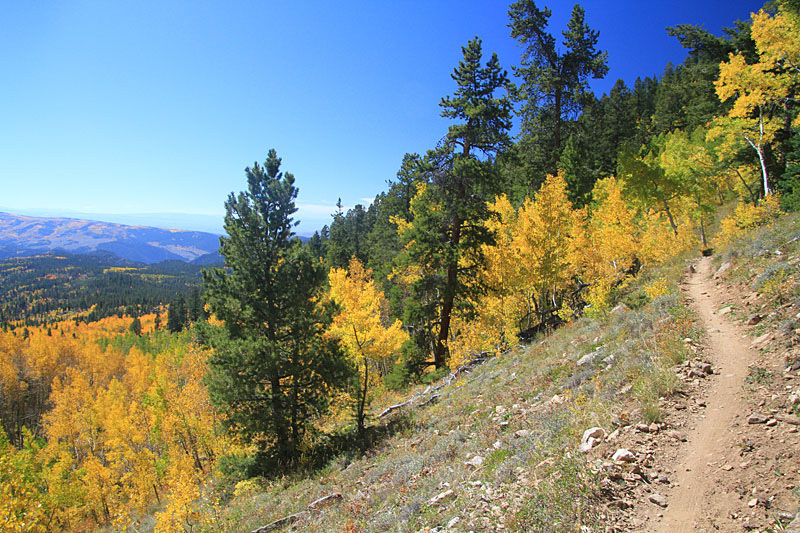 The last half mile or so gets much more technical and steep with some optional rock rollers and some tight switchbacks. This trail was superbly fantastic. 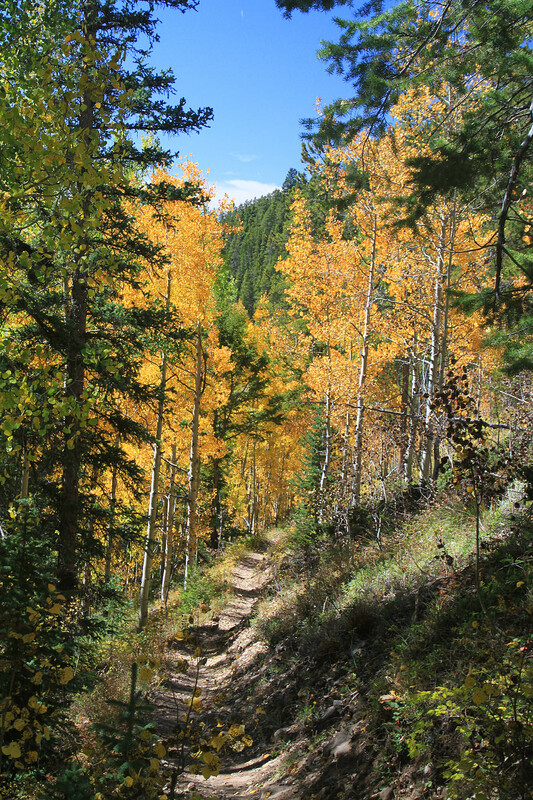 I did not even come close to "ripping" this trail as the aspens where going off and I stopped quite a few time to take pictures and soak in in. I will definitely be back for another run on this trail.